The sea trip to Gaza is long and dangerous. Suspicious men at the quay. Unfriendly coast guards and not to forget, hostile stickers. The zionists want to know where your ship is sailing at the moment. This is a short introduction to ship spotting and especially the Gazaship spotting. The transponder in the radar. 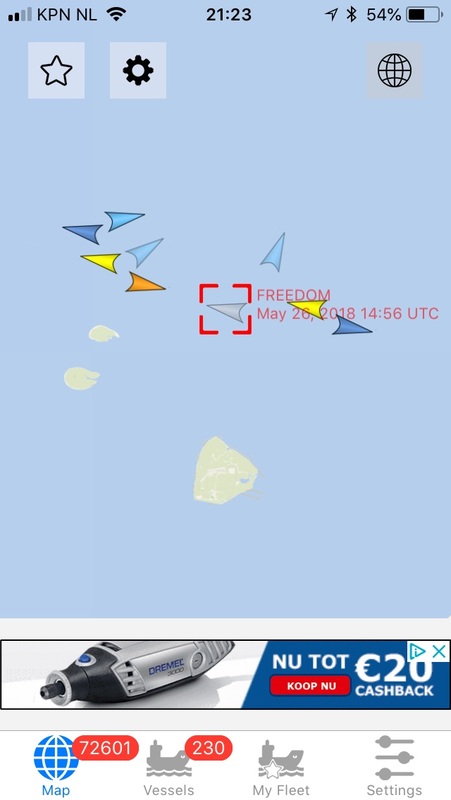 Freedom is sailing north of the island Juist. In case you are on your way in you James Bond-mobile or on the bicycle (camouflage! ), it is possible to still locate the ships, via your Vesselfinder-app. The smaller gazaships, Palestine and Mairead, are not visible on the radar and can be spotted via social media. On twitter we can spot the singer Divina Levrini, who reports from the Swedish ship Palestine. 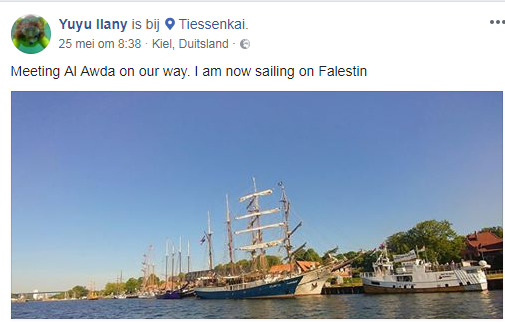 Another woman, the Israeli Yuyume, probably Yehudit Ilani, is also sailing on the Palestine and writes on Facebook. The Danish Norwegian, Mikkel Grüner, does not understand the concept of social media and blocks everyone he does not like. In that sense he understands the blockade-principle. The Gaza Flottilla uses local Pro-Palestinian organisations to organize a warm welcome and to make propaganda. In the Netherlands, the welknown activist Dorien Ballout-Siemons, alias Dorien Bal, is organising the Dutch Freedom Gaza Flotilla. On the Facebook page Nederlandse Gaza Flotilla Coalitie, we can see that two events are planned in Amsterdam on Friday 1 June. At 14:00 the Dutch activists will sail from the Mauritskade 1, probably to meet the Gazaships in the Amsterdam harbour. Hembrugstraat 156, 1013 ZD Amsterdam, at 20:00. Probably, the Gaza ships will be moored in the harbour nearby. Two of the smaller ships, the Palestine and the Mairead plan to visit Groningen tomorrow, Tuesday 29 may 2018. 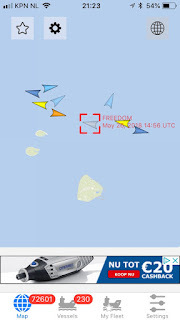 The dutch website Groningen -Jabalya shows the right place and time to observe the ships. In the mean time, professional intelligence sites, like Terrorisme-info.org.il, also publish information about the boats. Global Brotherhood Watch is another site, dealing with information about Hamas and muslimbrotherhood. Dutch pro-Palestinian websites like Docp.nl, Palestina Komitee and Maarten Jan Hijmans, give reliable information about time and place, where you can do useful observations. Carel Brendel write about moslimbrotherhood and Hamas since 2006. Also the past flotilla's to Gaza are described on his site. This is the end of the short introduction to Gaza Ship-watching. We wish you succes, watching the ships sail by and observing them.